Will be be closing Saturday at noon for the Easter Holiday. Location! Location! Location! To be SOLD it has to be SEEN! Port Clinton, Catawba and Marblehead are location Landmarks! With hundreds of thousands of cars passing our two lots, your exposure is guaranteed. 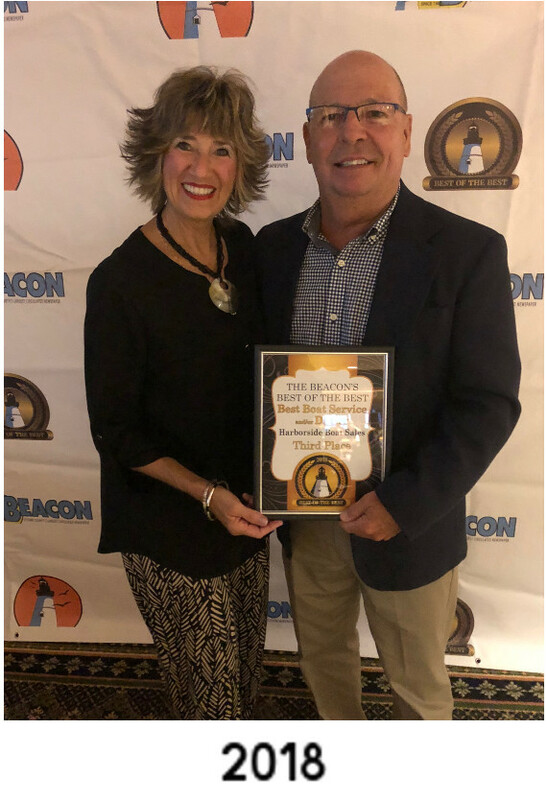 Michael and Ginny Simonis, owners of Harbor Side Boat Sales believe that our customer's needs are of utmost importance. We are committed to meeting your needs by providing the highest quality service and customer satisfaction. Over 85% of our business is repeat customers. We welcome the opportunity to earn your trust and deliver the best service to you in the industry. We can deliver the best service at all locations. Midway Marina and Foxhaven Marina in West Harbor, Catawba Island and Bass Haven Marina in East Harbor, Marblehead. What Can We Do For You? 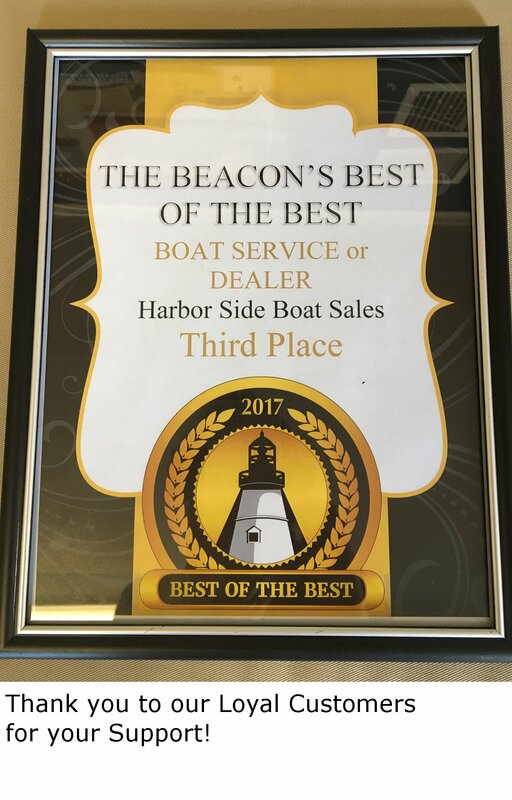 Harbor Side Boat Sales, LLC offers comprehensive services to meet all of our boating needs. Whether you are selling your old boat or buying a new one - need assistance finding financing and insurance - we can do it all! With a variety of offerings to choose from, we're sure you'll be happy working with us. Look around our website and if you have any comments or questions. Please feel free to contact us at 419-797-0004. We hope to see you again! Check back later for new listings. harborsideboatsales@frontier.com We Need Clean, Used Boats !